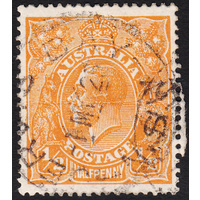 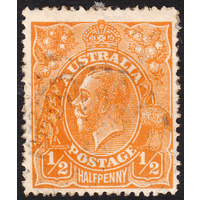 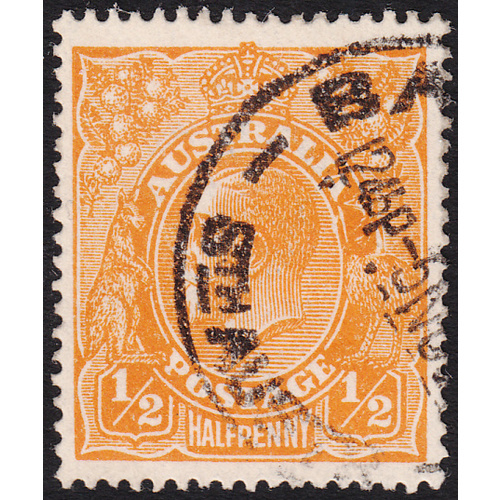 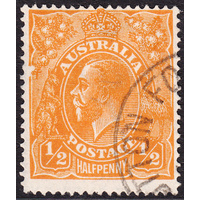 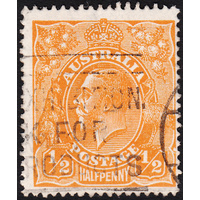 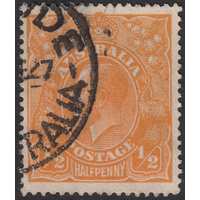 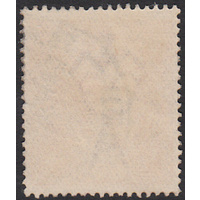 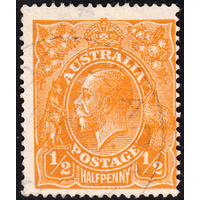 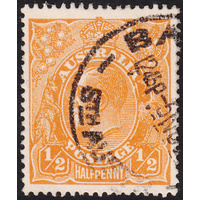 Australia KGV 1923, 1/2d Orange, Single Watermark, variety 6L53 ("Broken necked Emu" Retouch) in Fine Used condition with no faults. 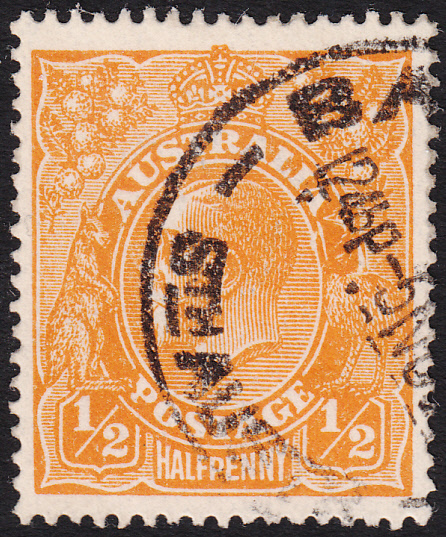 Well centered with a circular datestamp cancellation (SA) passing through a snmall part of the variety, which is still obvious. 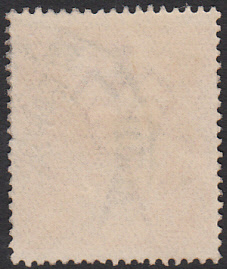 BW 66(6)h.